There are often discounts readily available to senior citizen and small kids. Discover by contacting your nearest pool in Buckinghamshire. Looking for Indoor Pools in Buckinghamshire? Countless of them belong to gyms or sport centers which also offer lessons. Are you on holiday and wish to keep fit and wholesome? 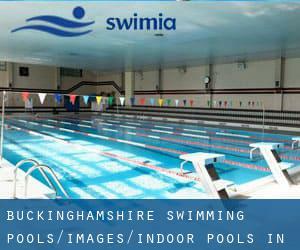 Swimia.com gives you the painless and quickest method to get pool near Buckinghamshire. These are the Swimming Pools other users have reported. Are you a local and your pool is not listed? Contact us to ADD IT. It's free! 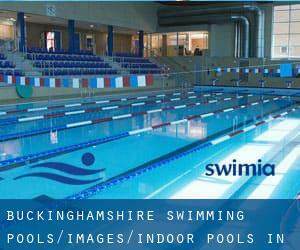 Swimia.com has one of the most up-to-date database about Indoor Pools in Buckinghamshire. Water sports are escalating particularly in elderly population sectors who have suffered some sort of muscle or bone damage. Swimming can be a excellent idea to keep your body active for the duration of your visit to Bletchley (Buckinghamshire), or perhaps for anybody who is a local. Swimia helps you to find your closest Pool in Bletchley. It's difficult to visit Buckinghamshire with out dropping by Aylesbury (with 74.565 residents). At present Swimia is showing you all the Pool in Aylesbury and also the closest pools situated in its vicinity. Holding an estimated population of 21.731, Amersham is among the most important cities in Buckinghamshire. Check all the Swimming Pool in Amersham and its surrounding area. Let us tell you a secret to switch off while you are in High Wycombe: just choose a Pool in High Wycombe and plunge into the water! There's no additional useful process. Without a shadow of a doubt, swimming in Chesham will be the ideal way to unwind after perform. Take a couple of minutes to browse Swimia's catalog to find a Pool in Chesham. Globe Park , Fieldhouse Lane , Marlow , England , UNITED KINGDOM (Postal Code: SL7 1LU). Swimmers like you reported 20 meters x 8 meters, Indoors. Unfortunately we do not have the email address of this Swimming Pool, but we can give you the phone number. London Road , Buckingham , England , UNITED KINGDOM (Postal Code: MK18 1AE). Among all the activities offered by the center, if you're enthusiastic about swimming you will enjoy 25 meters x 12.5 meters, 6 lanes, 0.9 meters - 1.8 meters depth, 0.9 meters - 1.8 meters depth, Indoors. If it is advisable to contact this Swimming Pool, email address and phone number are both number. Bensheim Way , Chiltern Avenue , Amersham , England , UNITED KINGDOM (Postal Code: HP6 5AH). Among all of the activities offered by the center, for anyone who is interested in swimming you can appreciate 25 meters, 6 lanes, Indoors. Just in case you want to contact this Swimming Pool before dropping by, we only know the phone number. Glory Mill Lane , Wooburn Green , High Wycombe , England , UNITED KINGDOM (Postal Code: HP10 ODB). This sports center provides 20 meters x 8 meters, Indoors. For this Pool, only phone number is number here. Harvey Road , Stoke Mandeville , Aylesbury , England , UNITED KINGDOM (Postal Code: HP21 9PP). Swimmers like you reported 25 meters, 6 lanes, Indoors. Phone number and email address are number for this Swimming Pool. Henley Road , Marlow - on - Thames , England , UNITED KINGDOM (Postal Code: SL7 2EY). Among all the activities provided by the center, if you are interested in swimming you'll enjoy 20 meters x 10 meters, Non-Chlorine Sanitized, Indoors. Just in case you would like to contact this Pool just before dropping by, we only know the phone number. Marlow Hill , Handy Cross , High Wycombe , England , UNITED KINGDOM (Postal Code: HP11 1TJ). Swimmers like you have reported Olympic size, 6 lanes, Indoors. Also, you will find 25 meters, Indoors. Just in case you want to contact this Swimming Pool prior to dropping by, we only know the phone number. Wexham Street , Wexham , Stoke Poges , England , UNITED KINGDOM (Postal Code: SL3 6NB). Among all the activities offered by the center, if you are interested in swimming you will take pleasure in 20 meters x 10 meters, Indoors. Just in case you want to contact this Pool before dropping by, we only know the phone number. Wades Park , Stratton Road , Princes Risborough , England , UNITED KINGDOM (Postal Code: HP27 9AX). Swimmers like you reported 25 meters x 9 meters, 3 lanes, 0.9 meters - 1.8 meters depth, 0.9 meters - 1.8 meters depth, Indoors. Unfortunately we do not have the e-mail address of this Swimming Pool, but we can give you the phone number. Updated on 2019 Fieldhouse Lane , Marlow , England , UNITED KINGDOM (Postal Code: SL7 1GJ). Swimmers like you reported 18 meters x 8 meters, Indoors. Phone number and e-mail address are number for this Swimming Pool. White Hill Close , Chesham , England , UNITED KINGDOM (Postal Code: HP5 1BB). This sports center offers 25 meters, Indoors. For this Pool, only phone number is number here. Updated on 2019 Nicol Road , Chalfont Saint Peter , England , UNITED KINGDOM (Postal Code: SL9 9LR). This sports center gives 25 meters, 4 lanes, Indoors. For this Pool, only phone number is number here. Trenchard Street , Aylesbury , England , UNITED KINGDOM (Postal Code: HP19 7AA). Among all of the activities offered by the center, if you are interested in swimming you can expect to appreciate 20 meters x 8 meters, Indoors. Just in case you desire to make contact with this Pool prior to dropping by, we only know the phone number.